The new MV SALISH continues on her first sea trial session as of the time of this posting. The ship trackers showed her doing her "baby steps" outside of Everett harbor for awhile this morning. She then "broke out of the crib" and did an extended duration speed run all the way down south around Vashon Island. Her most recent maneuvers included some loops south of Gedney Island. Have been checking in on the AIS most of the day. The Salish has been running at 14 to 16 knots most of the day, the thing really can go. I think it would likey be more efficient to run at a higher rate of speed than slow as the diesels do not get into the turbo boost below that. Yes, it would burn more fuel, but, would get there sooner and cost per mile would actually be lower. It's 8 pm and it is just now heading ack to Everett. ...And it's time for the crew to go home and get their suppers and pillow time. This was a 12-hour sea trial session. 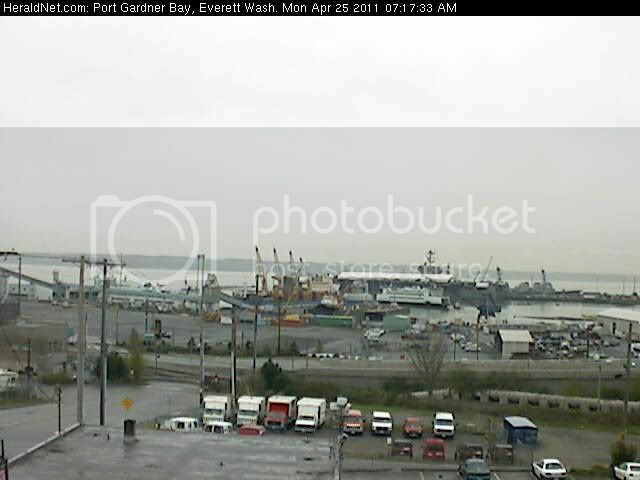 First movement out of Everett Shipyard was seen on the trackers and the Everett Herald cam at around 0830PDT. Arrival back was around 2030PDT. The SALISH was assisted by the tugs PORT GARDNER and FIDALGO. 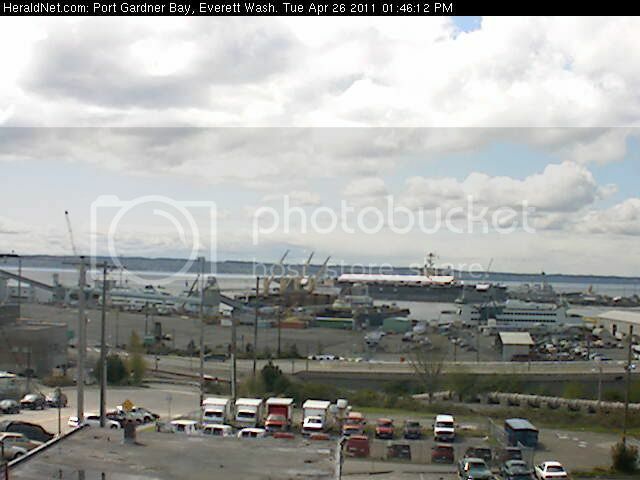 You can still see the SALISH on this cam when she's there. 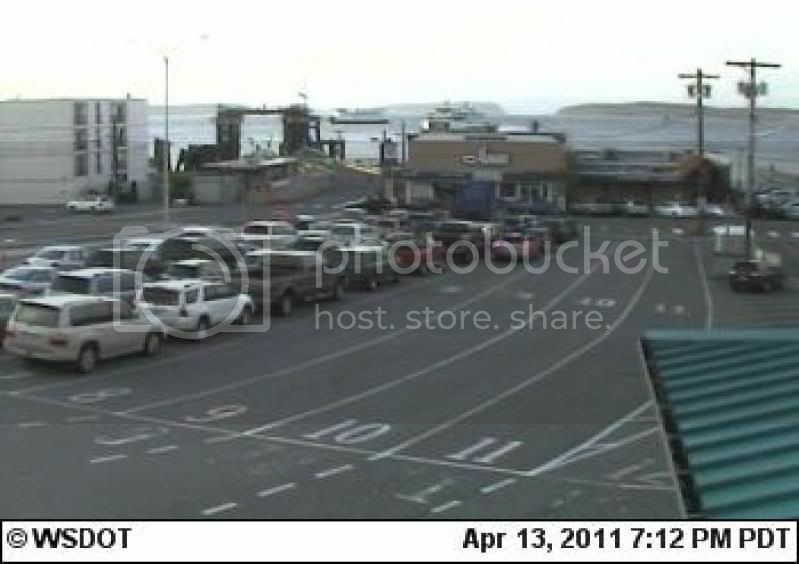 The clock in this webcam capture is a half hour off. REFRESH THIS IMAGE TO GET A NEW ONE! It updates instantly on your clicking of "F5". 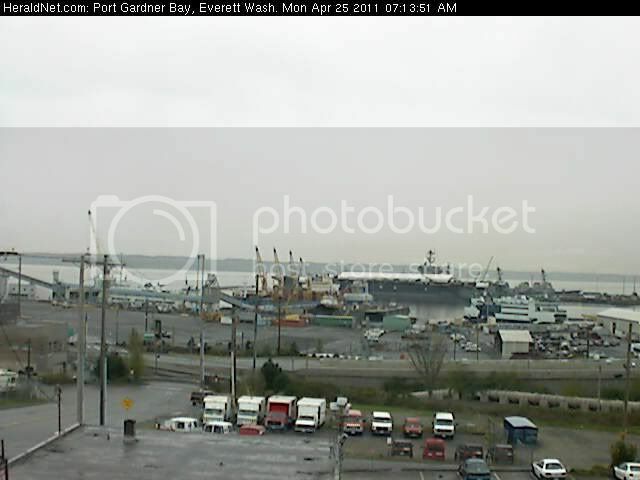 Today, through the EH webcam, we see two ships under covers. 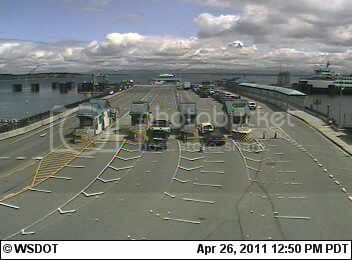 This cam view is zoomed in as we can see the SALISH's Sun Deck is under cover at End Number One. Must be for painting. The carrier looks interesting with those covers on her deck. I wonder if the DOT logo is getting slapped on there...It is missing in the photo taken by Fauntleroy. She's not a member of the WSF fleet yet. So, I think the folks at VMC EH may do this when she's accepted. 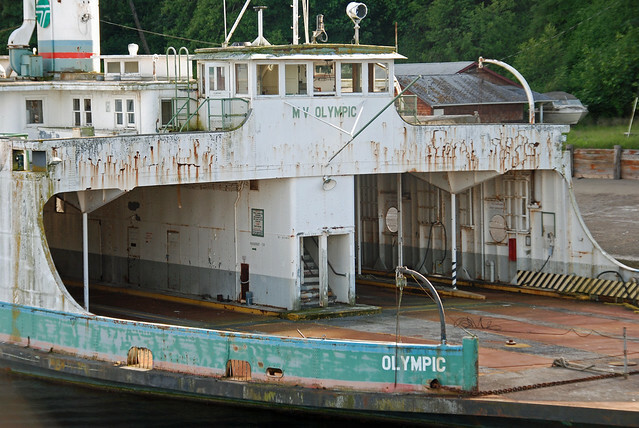 On the other hand, FSG did apply the BCF branding on the four ferries they built prior to trials and their long delivery voyages to the Canadian side of the Salish Sea via the Panama Canal. Good question! Keep in mind that on our four new ferries, the logo is literally built on to the ship. 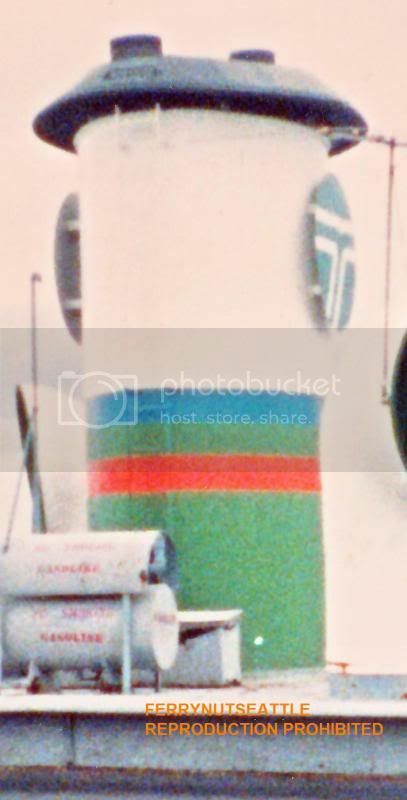 If they didn't add the logo prior to the ships being accepted into the fleet, they would have had to ship along a huge slice of metal down in the car deck along with the ferry, then attach it in BC. Either that, or have the logo painted blue prior to their acceptance into the fleet? 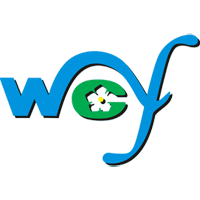 Anyway, there's a difference there, since WSF's logos are just painted onto their ships. ... Or, stuck on as a decal like what you do on model ships, planes, and trains. Semi-off-topic swerve. The carrier could be having sections of its nonskid deck coating renewed. It isn't the catapults as the covers don't right to the bow. I can't tell the positions of the tents but they correspond approximately to the elevator positions. Back to our regularly scheduled Salish thread. I'll settle the debate right now before it gets spun out into a two-week argument. They are two-piece stickers. Despite the problems from them, I really miss those old Flying T 'hubcaps' from way back when... I grew up with those and remember them vividly. I always wanted one if they ever got removed, but alas, nope. The decals look just as good. Does anybody have any pictures of what they looked like? 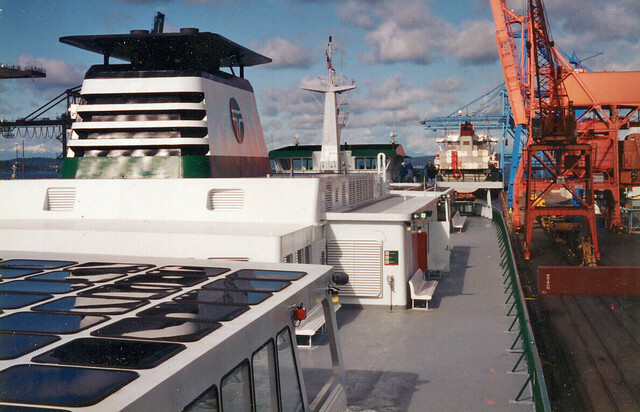 One additional entry of the original DOT logo-ing on the stacks of our WSF ferries. The NISQUALLY's stack in 1987. She was the only pre-renovated Steel Electric to have the new colors on her stack. Notice the DOT logo attached to the stack. The ILLAHEE also received the logo in her pre-renovated state. Her stack retained its usual green, golden anniversary, and black coloring, though. 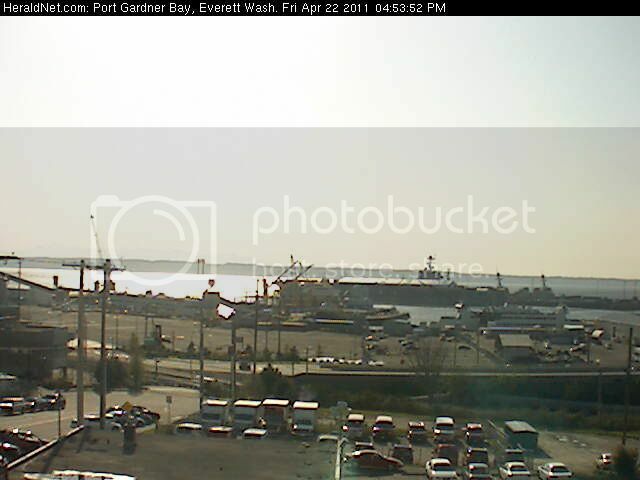 Now, as we're exiting through the door of the stack logo department, we see the SALISH in nice afternoon sunny conditions at Everett as seen through the Everett Herald's webcam. 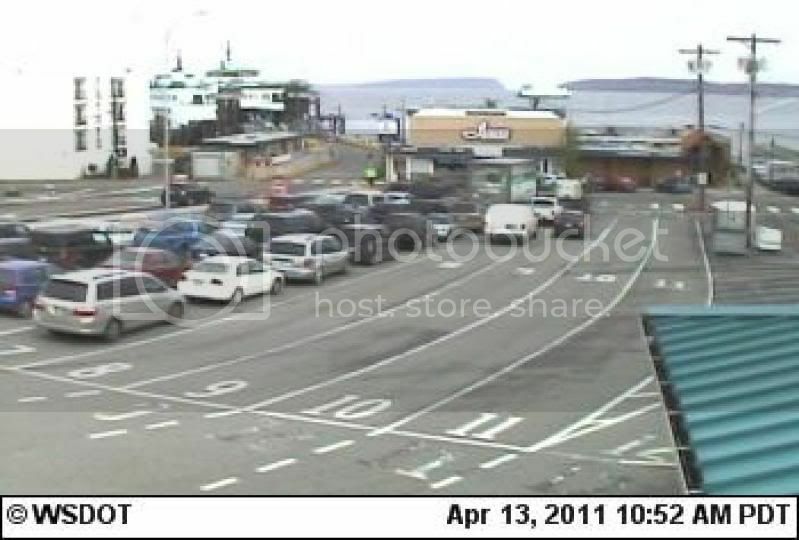 Yesterday morning when I opened up Everett Herald's webcam, there was movement by the SALISH. She would be cutting the lines loose from her Everett dock again and setting out for another sea trial session. The ship trackers showed her going as far as Fauntleroy before returning to Possession Sound and doing dizzy-ing amount of turns. 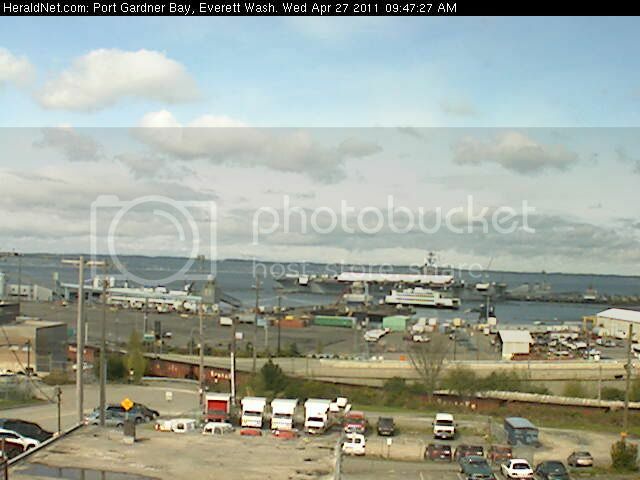 She then returned to Everett in the afternoon. Out on the open waters of the Salish Sea. 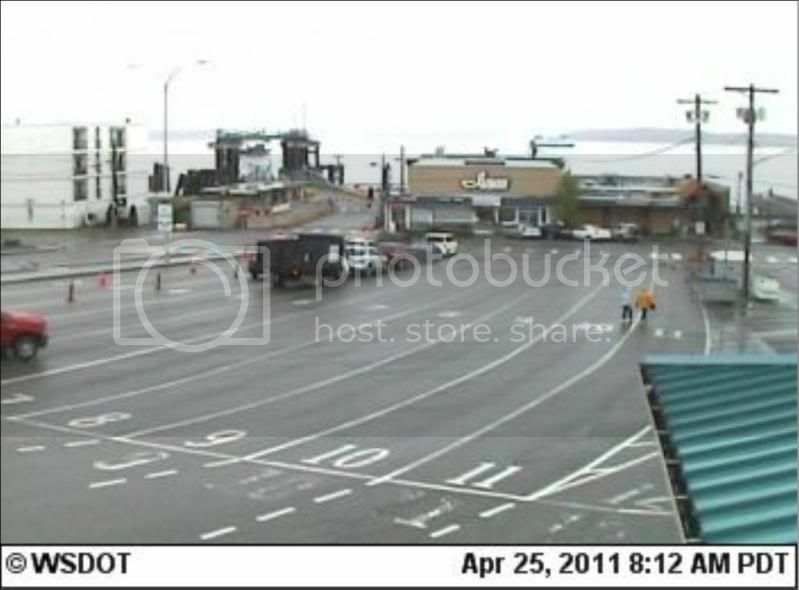 Again, the Everett Herald's webcam clock is a half hour behind (add thirty minutes to the time stamp). The tugs FIDALGO and PORT GARDNER did the assisting on SALISH's departure and arrival at Everett. 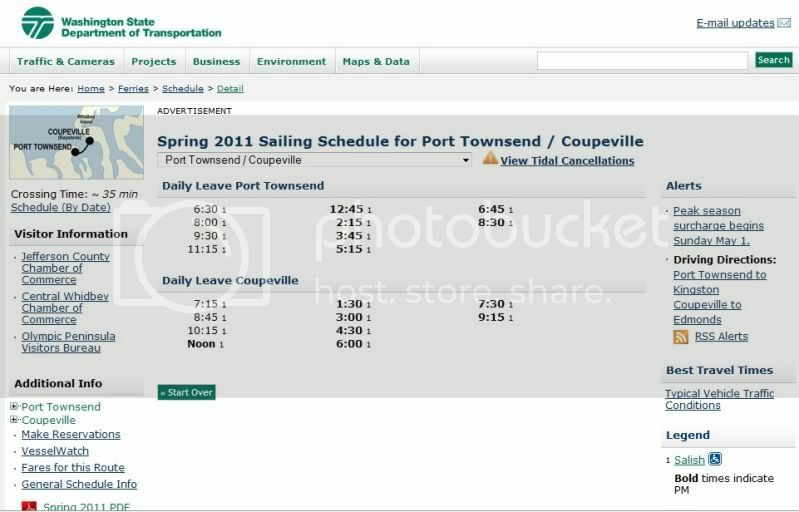 Ok I was just looking at the WSF schedule for Port Townsend to Keystone and they are listing the vessel serving the route as the Salish. I take it that is a mistake?? I would think so seeing she isent in service yet. Did the Chetzy vanish? lol! Oops! I think someone's jumped the gun just a wee bit early. That's interesting, to say the least. Their site does show the SALISH as being the vessel on the run. Click on the SALISH and you get a fleet list without the KDT. They're getting quite ahead of themselves. 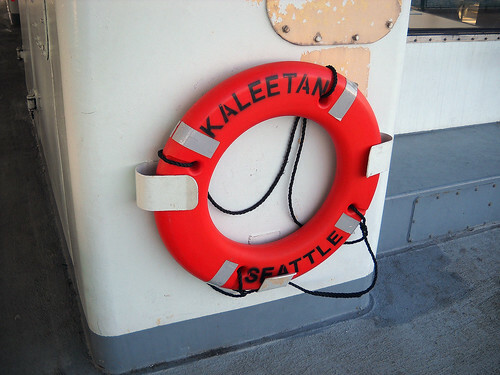 The web-sters must be in the process of reorganizing the KDT-Class section to add the SALISH to the fleet. The SALISH was out on trials again. 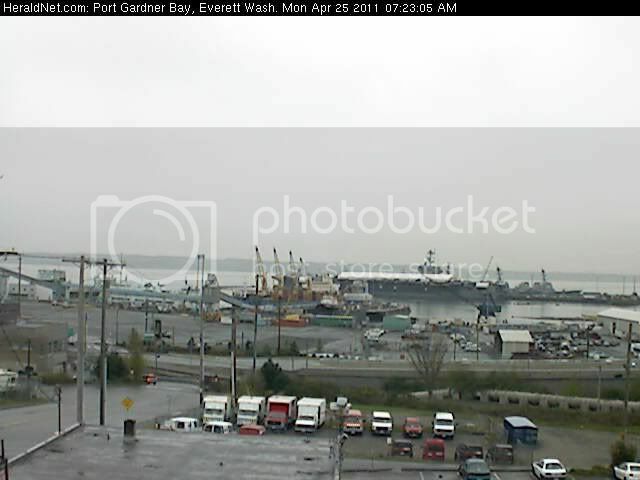 A couple of webcam captures show her off the east end of the Columbia Beach dock and at Everett again, this time with her port side at the dock. My guess is that the Chetzy will be taken out-of-service for a while to fix some things they don't like. It is likely they have already modified the Salish and do not look for the same issues with it. This is just what happens with any new design. Then there is the likely better control issue with the variable pitch props too. Does anyone know if they did a proper rub-rail fix on the Salish? The 1/2 a** fix for the Chetzy has contibuted to the cancelations as the pilots have worried about catching the internal ends on the north dolphins and spinning the boat onto the beach in a bad north going tide. Haven't seen it yet. On the other hand, it looks like they did a change in design for the MES. The SALISH was out again this morning. No they did not, it will still be the pipes and it *appears* it will be the same amount, no extension further down the midships to avoid catching as you noted. Although I cannot find Chetzemoka's bid details to verify this 100%. The bid for the additional work was advertised a few days ago and there is an addon. It appears with Salish they will be cutting the bulwarks back a foot, so obviously pinching on the ramp has been somewhat of an issue? My guess is that the Chetzy will be taken out-of-service for a while to fix some things they don't like. 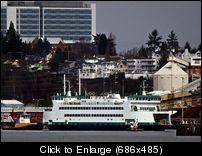 The SALISH has left Everett and is now at Todd Shipyard in Seattle once again. Mr. Moseley announced today that she has passed her sea trial sessions. Capacci and WSF personnel were aboard the Salish to witness the demonstration of stopping distances, steering and other operational tests. The contract delivery date for the Salish is May 5th. 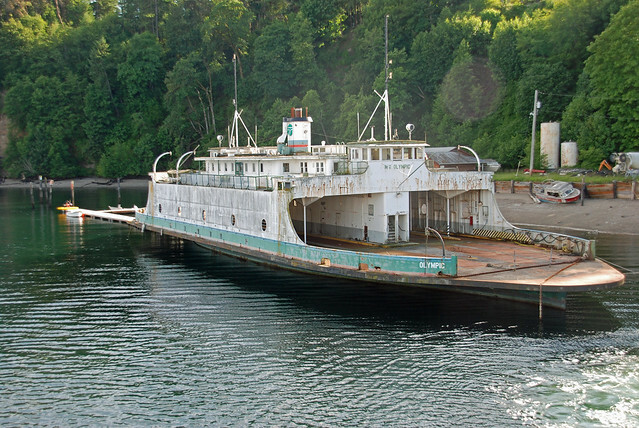 Once the vessel is accepted, crews will begin operational training and familiarization with the ferry around Puget Sound and on the Port Townsend/Coupeville route to get the Salish ready to sail this summer."